The Hawk's Nest, unit B, is a 2007-built, spacious and elegant townhome across the street from the West Wall quad chair lift. It has all the amenities you'd expect in a luxurious mountain home, including a unique western/mountain decor. As it sleeps 8, it is perfect for large families or groups of friends - winter and summer. The upper level has a large open floor plan with a vaulted, rustic-beamed ceiling. The views are spectacular! This is a wonderful place for gatherings around the gas log fireplace or watching the sun go down after dining on the west deck. The living room also features a 46' flat panel HD TV with virtual surround sound, DVD and iPod dock. The gourmet kitchen makes cooking a pleasure. The 2 elevated bars seat 6, while the dining area seats 8. The east deck faces Crested Butte Mountain, and has a gas grill for your use. The larger west deck easily seats 8 and has unobstructed views across the entire valley. The main entry opens on to Hunter Hill Dr. just across from the West Wall lift. On this middle level are the 3 bedrooms, each with its own 32' flat panel HD TV and travertine-tiled bathroom with shower. The master has a king bed, Jacuzzi tub, his and her sinks, and walk-in closet. The queen room has a desk with ethernet connection to complement Wi-Fi throughout the townhouse. The 'Bunkhouse' has 1 set of 2 extra-long, college-grade bunk beds to accommodate kids of all ages and a full size futon, as well as a DVD player and iPod dock. The garage level opens on to Castle Rd. The utility room has a washer, dryer, iron and ironing board. The 2-car heated garage is oversized and easily accommodates 2 SUVs with car-top carriers, bicycles, and other toys. But you really don't need your own vehicle, as the free shuttle bus stops every 15 minutes on both Castle Rd. and Hunter Hill Dr. in winter, and half a block away every 20 minutes in summer, to take you up to the Mt. Crested Butte base area or downtown to town - historic Crested Butte with wonderful shopping and affordable restaurants. And don't forget Crested Butte's beautiful summers. At 8500' the temperatures are perfect. Known as the wildflower capital of Colorado, the hiking and mountain biking are spectacular. The fishing is 5-star. And then there are the Wildflower, Food and Wine, Mushroom, and Art festivals. September Splendor follows the incredible turning of the aspen trees. The master bath has a walk-in shower and Jacuzzi tub with a large closet. complementary - please turn off water when you are done. Fully loaded kitchen for a cooking experiences. We stayed here during our Christmas ski trip, and we could not have picked a better place to stay. Simply put, the house is amazing -- it's large and beautiful, has incredible views out of both sides of the living room level, and is perfectly located (the bus to the base area picks you up at the front door, and gets you to the slopes in less than five minutes). I would very much recommend this place -- I know we will be looking for it the next time we go to CB! Hi Matthew! We are thrilled you found Hawk's Nest to be such a great vacation rental. I too, think it has many attractive amenities. Thanks for taking the time to share! Let us know when you want to come back! Great property and enjoyed it. You do need to get with the property owner on amenity description. In the amenities section it list a pool but there is no pool. As it turns out there is access to a pool at another location for a fee. This was not clear in the VRBO site. The property management group took care of this for the owner. You should take the pool off the amenities unless it is very well explained. We rented for the pool . Thank you for taking the time to review your stay at Hawk's Nest. We thought that we described the pool access in enough detail in the description - that it had to be purchased through Elevation Pool and Spa. I'm sorry you found this misleading and we were happy to buy your pool pass for a day. We have since taken all information about a pool off of the listing. Hawk's Nest is such a wonderful place to stay and we're happy to hear you enjoyed all other aspects of this property. Great place to stay. 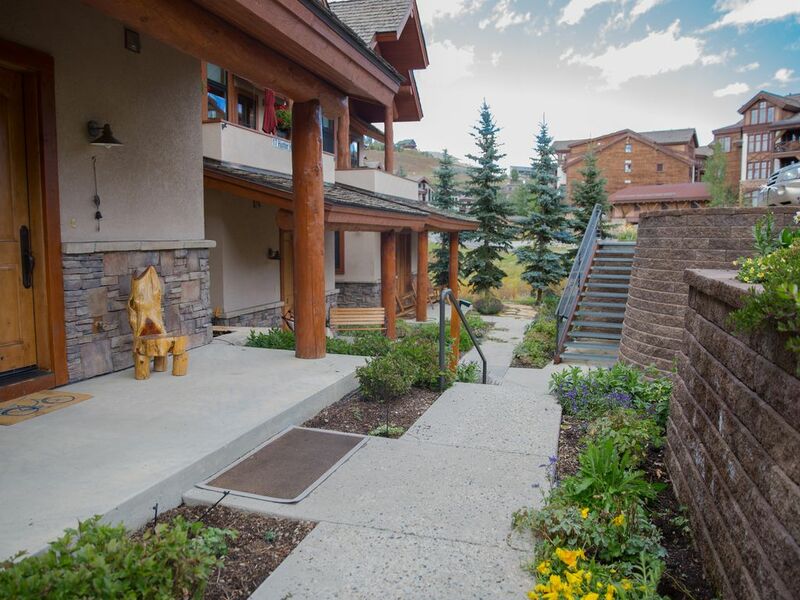 Very nicely appointed, and fantastic location close to the ski base and shuttles. Awesome views of Crested Butte and the valley made it really hard to leave for other events. Thanks for hosting us in your awesome home. The almost full-glass windows and doors on the Eastern and Western sides of the property flood the open floor plan kitchen, dining room and living room with sunlight and views of the mountains. Waking up to Mt. Crested Butte was inspiring! The property is beautiful, comfortable and well-maintained. The only slight drawback is privacy - if you venture outside to the decks you are right next to any neighbors using their decks so a divider for privacy would have been nice. The whirlpool tub in the master bedroom was wonderful after long days of hiking. Thank you for such a great vacation! Front Door of House is at 17 Hunter Hill Rd.